This entry was posted in Reportages on 24.10.2018 by Kamil Guzek. Organizers from Spartak Hradec Kralove tested Fortuna Arena before upcoming European Championship SKIF 2017, which will be held in May next year on the same place – Icehockey stadion Hradec Kralove. On the floor was 8 tatami from which 7 was used for fights in kata and kumite in all age categories for the whole weekend. Tournament finished by huge success because it released that it fits perfectly to the tournament of this size. 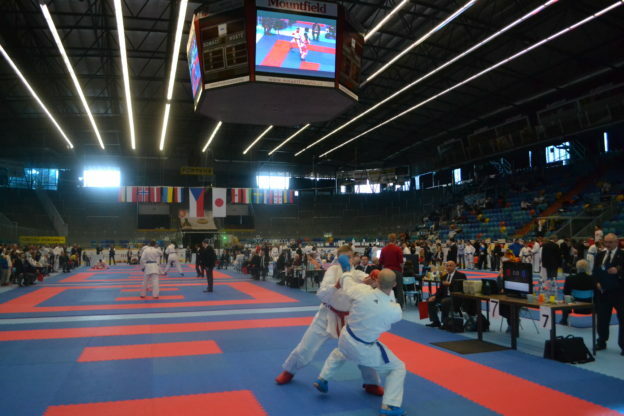 On this year Grand Prix was seen 1300 contestants from 12 countries. 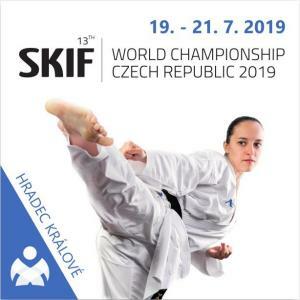 Organizers of SKIF CZ are waiting for one more proof, now more of referees and timekeeping software, which will be on the tournament on May 15 in sport hall Trebes. This entry was posted in Reportages on 2.5.2016 by admin. The third international seminar SKIF was held in Tokio with the participation of SKIF CZ members with a total of 26 classes for 3 groups of participatns, divided by technical degrees. 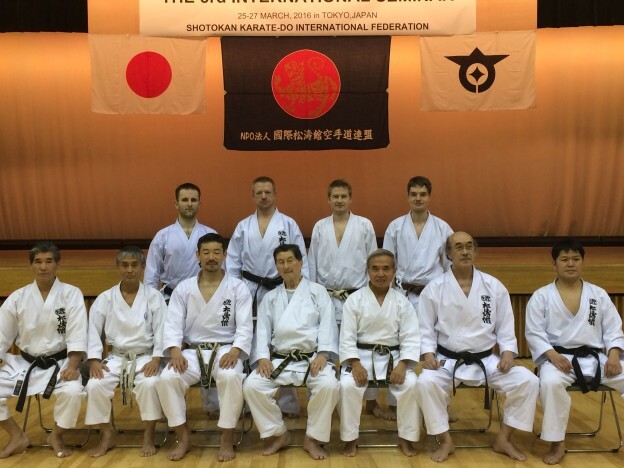 Trainings was conducted besides the Honbu dojo instructors Manabu Murakami, Nobuaki Kanazawa, Daizo Kanazawa, Fumitoshi Kanazawa, Shinji Tanaka and Ryushi Suzuki also with very special guests: Shihans Masaru Miura, Shiro Asano, Hiroshi Ishikawa and Rikuta Koga. The seminar thus had the strongest possible cast of instructors. There was also the Soke Hirokazu Kanazawa, who was presented at the opening ceremony and also was watching the classes for students and also for referees led by Manabu Murakami shihan. Soke Kanazawa also actively led the gradings for black belts, which the seminar was completed on Sunday afternoon. There was in the officcial program also Saturday night party, Monday’s celebrating Hanami at the Honbu dojo, but also two meetings for representatives of the federations who was talking about the upcomming World Championships SKIF in Jakarta. At one of the meetings led by Manabu Murakami shihan was discussed the vision of categories, mandatory protectors, logos on karate-gi for future championships and also European chamiponship SKIF 2017 in Hradec Králové. This entry was posted in Reportages on 29.3.2016 by Kamil Guzek. 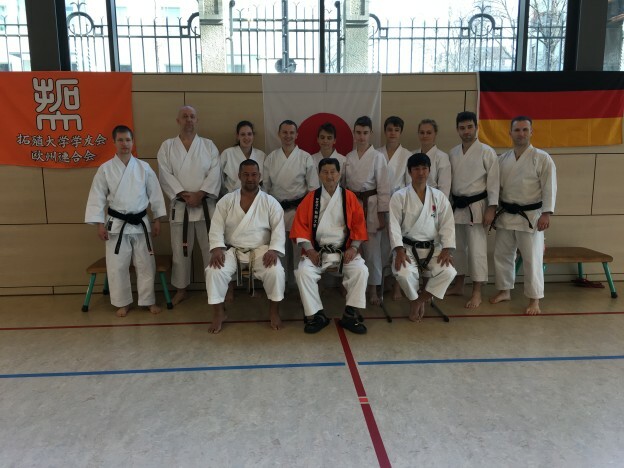 SKIF CZ members have attended amazing seminar with the top Shotokan instructors from Takushoku University, where the university karate’s club was funded around 1924 and has produced many prominent karate instructors. Sensei Naka (7th Dan JKA Manager Tokyo Japan) and sensei Murakami (7th Dan Chief Instructor SKIF) demonstrated advanced methods of training karate techniques within the 3 days. The seminar alternated movement theory, practice methodology, to physically demanding burden of the more than 500 participants in two halls who have really enjoyed it. 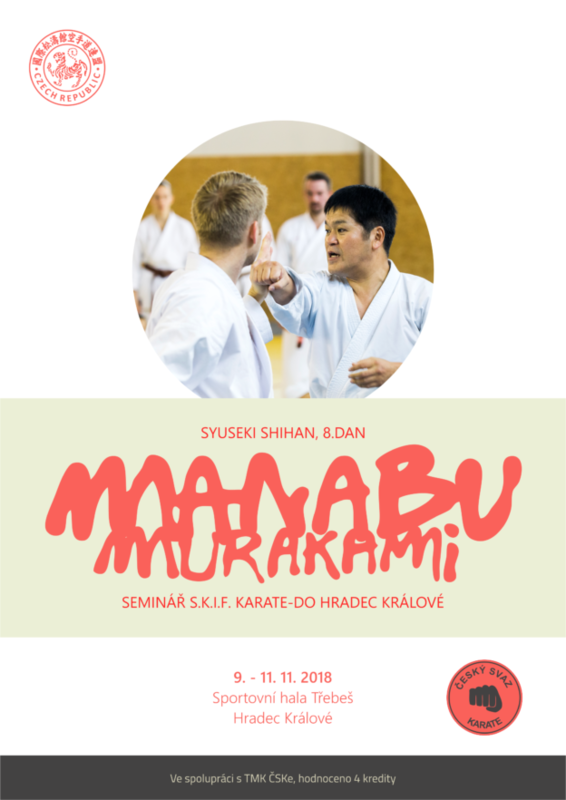 The seminar oversaw Hanshi Asano (9th Dan Chief Instructor SKIEF, SKI-GB) and Shihan Nagai (8th Dan Chief Instructor SKIF Deutschland). This entry was posted in Reportages on 17.3.2016 by Kamil Guzek. 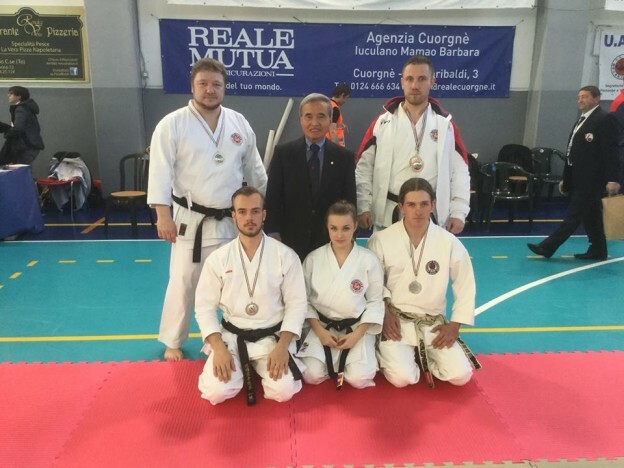 SKIF CZ karate team Jaroslav Hamza, Tomáš Fejt, David Kraus, Sabina Křížová a Tomáš Tragan attended international tournament in Rivarolo Canavese in Italy. 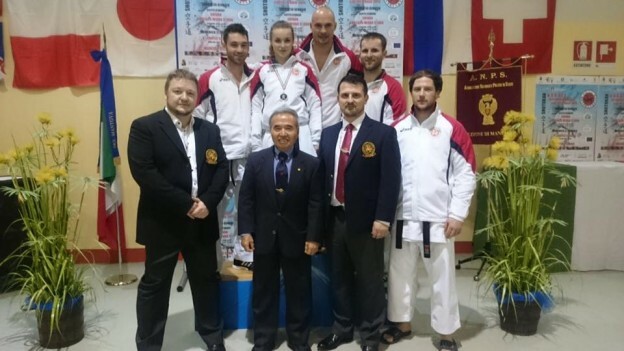 Jaroslav Hamza was third classified in individual kumite of masters. All the team was second classified as kumite team. Tomas Tragan represented also as referee. Tournament was held in friendly atmosphere which is typical for SKIF tournaments and Czech representation get not lost. Thanks to SKI-I for nice tournament. This entry was posted in Reportages on 10.3.2016 by admin. We have been to Castel d’ Ario in Italy. This entry was posted in Reportages on 8.3.2016 by admin.